Two Bed on Bina Gardens Kensington offers accommodation in London, 1.1 km from Royal Albert Hall and 1.2 km from Stamford Bridge. The apartment is 1.3 km from Chelsea FC. Free WiFi is provided throughout the property. 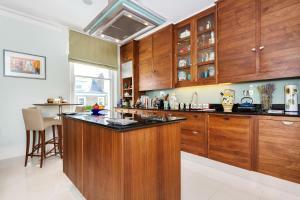 See all Two Bed on Bina Gardens Kensington reviews..